ONCHAN, Isle of Man – May 25, 2016 – The Spring Championship of Online Poker (SCOOP) $10,000 Main Event has been won by Talal ‘raidalot’ Shakerchi, who last night topped a field of 713 players (plus 111 re-entries) at PokerStars, an Amaya Inc. (Nasdaq: AYA; TSX: AYA) brand, to win the first prize of more than $1.4 million and grab his third career SCOOP title. It was the biggest field in SCOOP Main Event (High) history in terms of both unique players and total entries. Shakerchi, who is a UK-based high stakes player and regular winner on the European Poker Tour (EPT), cashed in 38 tournaments and made five final tables this series, to take his overall winnings in SCOOP 2016 to $1,622,466.98. 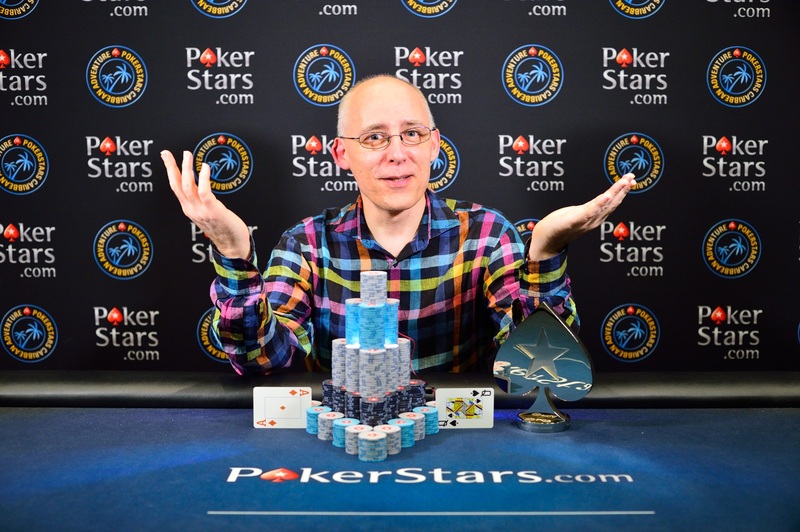 For a full report of the event, check out the PokerStars Blog: http://psta.rs/20zZLsQ. The $1,000 Main Event also finished last night and was won by ‘Educa-p0ker’ from the UK. The player pocketed a six-figure score of $578,621.27 after a four-way deal was done. Meanwhile, Brazil’s ‘mmleandro’ triumphed in the $100 Main Event, winning $195,000 after a three-handed deal was reached. It was the 21st title for Brazil this series, making it the top winning country, one title ahead of the UK. All three Main Events set new participation and prize pool records, as part of a record-breaking SCOOP festival that saw nearly $91 million awarded to players. With 41 cashes and eight final tables, Shaun ‘shaundeeb’ Deeb won the Overall SCOOP Leader Board to make it back-to-back ‘COOP’ Player of the Year titles following his World Championship of Online Poker (WCOOP) 2015 Leader Board victory last September. For his latest triumph, Deeb wins another champion’s trophy and an additional $20,000 in cash..
With just a few points separating the top two or three positions in the Low, Medium and High Leader Board races, PokerStars is still waiting on official confirmation of winners, but expects them to be confirmed later today. Check the SCOOP website – http://psta.rs/1bCLc4e – from Thursday for the final positions. A host of well-known players, with multiple ‘COOP’ victories to their names, won SCOOP events this series, including, but not limited to, Rafael ‘GM_VALTER’ Moraes, Luke ‘lb6121’ Schwartz, James ‘Andy McLEOD’ Obst, Shawn ‘buck21’ Buchanan, Stephen ‘stevie444’ Chidwick, Marco ‘NoraFlum’ Johnson, Matt ‘plattsburgh’ Vengrin, Nick ‘The Takeover’ Schulman, Dan ‘Danny98765’ Smith, Tom ‘tjbentham’ Bentham, Mike ‘goleafsgoeh’ Leah, Paul ‘paulgees81’ Volpe, Calvin ‘cal42688’ Anderson, Team PokerStars Pro Jason Mercier, Doug ‘WCG|Rider’ Polk, Matthew ‘MUSTAFABET’ Ashton, Fabrizio ‘SixthSenSe19’ Gonzalez, Nick ‘GripDsNutz’ Grippo, Daniel ‘w00ki3z’ Cates, and Talal ‘raidalot’ Shakerchi.